After sitting vacant for more than a decade, St. Mary’s School in Greektown will experience new life when it opens its doors later this year. As in the past, it will house a commitment to learning and growing. However, this time around its occupants will not be students. They will be business innovators, industry pioneers and urban thinkers. JACK Entertainment announced today that it is restoring the St. Mary’s school house and will move its company headquarters, and 140 team members, from One Woodward Avenue to the historic building at 1041 St. Antoine Street in December. 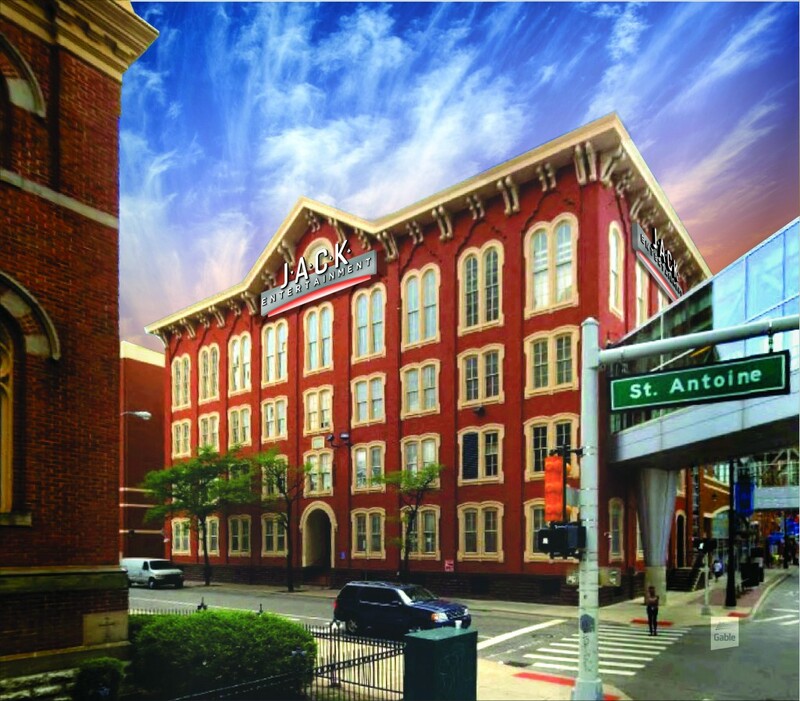 The five-story, 29,000-square-foot former school building is connected to Greektown Casino-Hotel via a pedestrian skywalk. The space is currently undergoing a $7 million renovation to bring the long-vacant building back to life. The project architect is Neumann/Smith Architecture and the general contractor is Colasanti Group, both located in Detroit. JACK Entertainment’s new home is designed to foster collaboration among team members while preserving and enhancing the building’s original architecture. 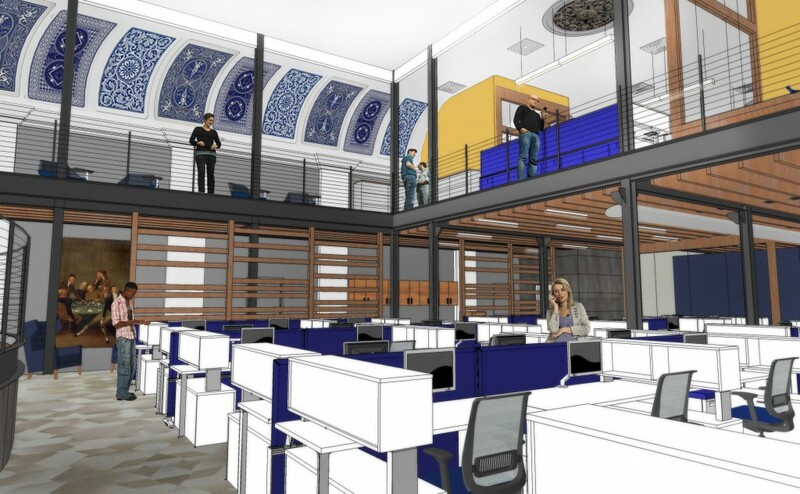 The contemporary new offices will feature large open spaces, modern furniture and a beautiful fifth floor mezzanine. JACK Entertainment will occupy the second through fifth floors, leaving the first floor for a future retail tenant. JACK Entertainment, formerly Rock Gaming LLC, was formed in 2009 with less than 10 team members. Today, the company and its affiliates employ approximately 7,000 people across six properties in four states, with revenues exceeding $1.4 billion. 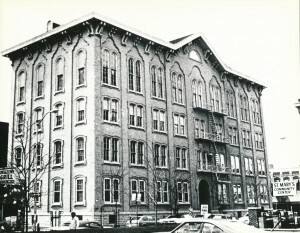 The St. Mary’s School building, designed by Puis Daubner, was built in 1868 and used as a school, orphanage and sisters’ residence for nearly a century. After the school closed in 1966, the building became St. Mary’s Community Center. It is one of the oldest Catholic school buildings in the state. In 1980, the structure was recognized as a historical site by the state of Michigan. Restoring historic properties is not a new concept for JACK Entertainment and the Rock Ventures Family of Companies. Consistent with Rock Ventures Chairman and Founder Dan Gilbert’s commitment to urban core renewal and economic impact in each of the communities where his companies reside, his organizations invest heavily in restoring downtown communities. For example, JACK Entertainment invested $400 million to transform four floors of downtown Cleveland’s historic Higbee building into Ohio’s first full-service casino, JACK Cleveland Casino. The Family of Companies has invested more than $2.2 billion to purchase and renovate more than 95 commercial properties accounting for more than 15 million-square-feet in Detroit’s urban core. JACK Entertainment’s sister company, Bedrock, has revitalized dozens of Detroit’s historic properties including the Madison Building, Chrysler House and the First National Building. Bedrock also recently acquired the iconic 38-story Book Tower, the attached 13-story Book Building and an adjacent 2-story community center. These three vacant buildings will become an exciting mixed-use development that will bring jobs, energy and more new life to downtown Detroit. 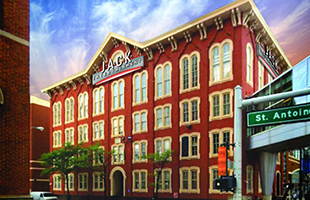 JACK Entertainment and its affiliates purchased Greektown Casino-Hotel in April 2013 and recently completed a $70 million renovation, adding a state-of the-art HVAC system for enhanced air quality, new technology and gaming options for guests, advanced LED lighting throughout the property and beautifully upgraded interiors. The company also recently announced the opening of the famous Wahlburgers restaurant in the Greektown entertainment district. 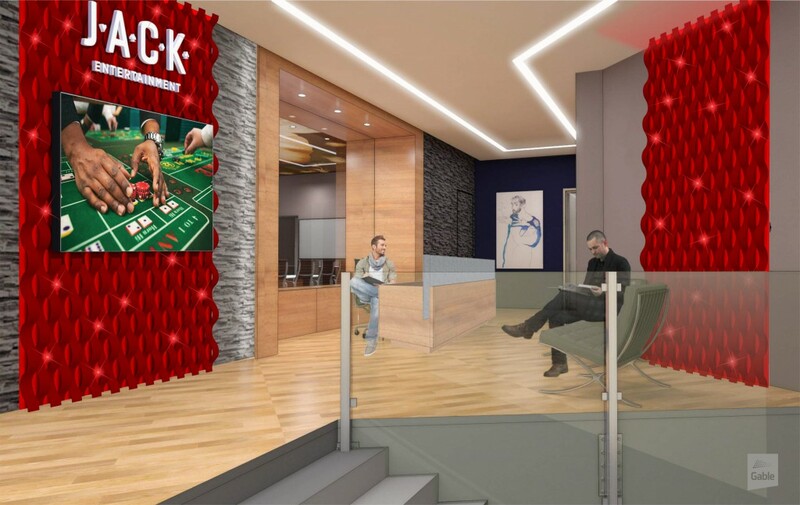 Greektown Casino-Hotel will be renamed JACK Detroit Casino-Hotel Greektown early next year as part of a rebranding effort for the new company. JACK Entertainment recently completed the transition of its Ohio properties to the JACK brand. 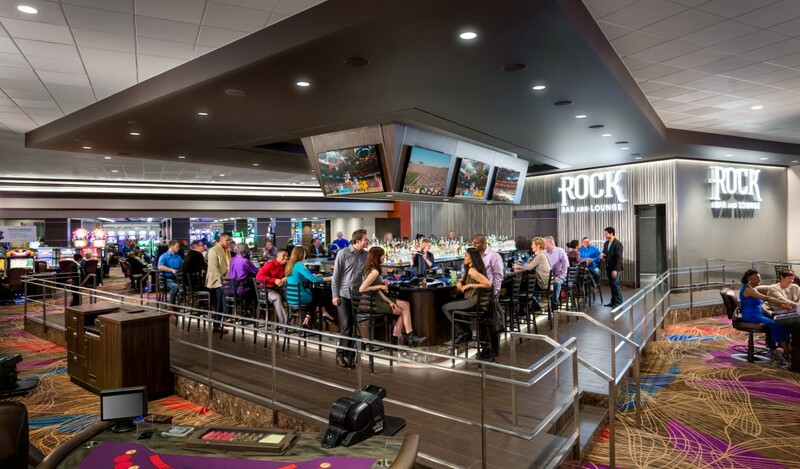 JACK Thistledown Racino reopened in March, followed by JACK Cleveland Casino in May and JACK Cincinnati Casino in June.